Are you ever faced with the need for getting your bags of groceries up to the third-floor kitchen? Or, do you have a need to get a prepared meal from the third-floor kitchen to an upper deck for romantic sunset meal? 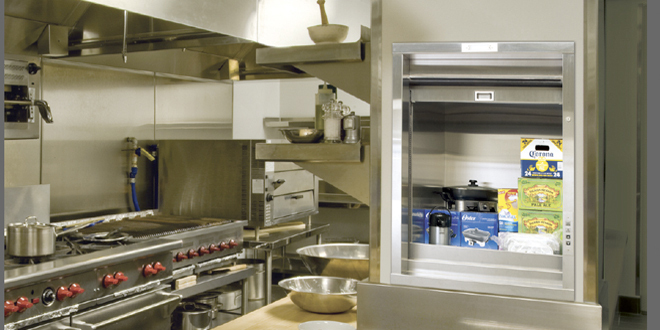 You could probably find many other needs where a dumbwaiter install would be the answer for transporting small items from one floor to another in your Long Island home or building. Dumbwaiters have been around for quite some time and were first a manually operated box suspended on a rope that traveled up and down between floors. An Excelsior Elevator now offers this timeless form of conveyance convenience with a line of [Place Product Name Here]. The [Name] dumbwaiter installed by our company in the 21st century puts to use an electric pushbutton operation where the product is operated power bioelectric motor. It is fully automated. All an operator has to do is place the items in the load basket push the floor button of choice and the schoolbooks, dinner, groceries or other items will be cheap to its destination. A full line of commercial and residential dumbwaiters is provided by An Excelsior Elevator with capacities for home use from 50-200 lbs. Commercial dumbwaiters can hold up to 1000 lbs. Furthermore, dumbwaiters can be configured to open on several sides. They come constructed in high-quality, food-grade stainless steel or high-quality wood materials. Call upon an Excelsior elevator for more specific details about your [Name] dumbwaiter.